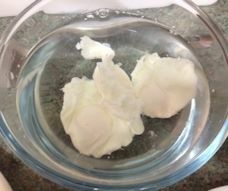 This tutorial will show you how to make poached eggs with nice shaped whites and runny yolks - just like this one here. 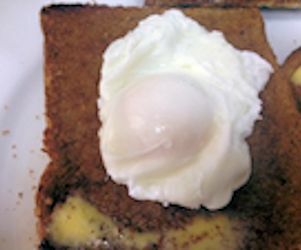 A lot of people find making perfect poached eggs a bit of a hit and miss affair. 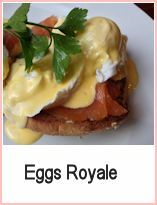 This tutorial is to support the recipe for Eggs Royale (link at the bottom) but you will probably find yourself poaching eggs at every opportunity once you know how! The tools you will need - a slotted spoon, a spatula, a bowl and a shallow pan. The pan I use is an old deep sauté pan - the handle fell off it some years ago but it's perfect for poaching - I don't lift it when it's got hot liquid in, so it's not a hazard. 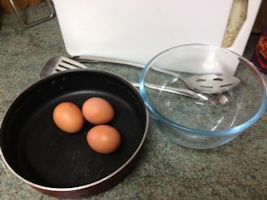 I'm poaching three eggs to give you the idea but you can poach as many as you like - the bowl is for cold water to pop the eggs in part way through cooking, so you can cook lots in advance, then just pop them back into boiling water when you're read to serve. 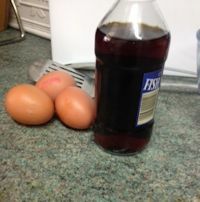 A splash of malt vinegar in the water helps the egg white set. 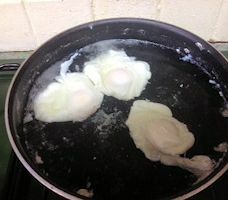 Put water in the pan enough to cover the eggs. 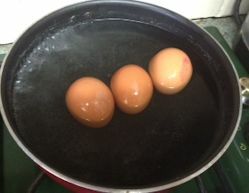 When it is boiling, put the whole eggs into the water and leave them for 10 seconds. This will help the whites set as soon as they hit the pan, keeping the shape neater. Swirl the water and quickly break each egg into the pan. Bring the water back up to the boil and then time them for 2 minutes. You will perhaps get a bit of scum on the top of the water. Use your slotted spoon or spatula to remove it. 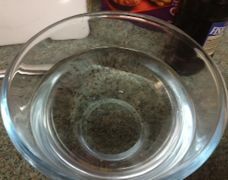 Fill your bowl with cold water, this will stop the eggs cooking. Restaurant kitchens use this method when they are cooking large quantities. It's good if you're cooking for a quantity of people - say four people need eight eggs and poaching more than four at a time is awkward. I use this method because it works! Pop the eggs into the bowl. You can leave them whilst you get the rest of your meal ready. 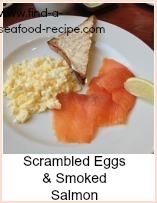 Make the toast, get the haddock cooked, prepare the sauce for Eggs Benedict or Eggs Royale. 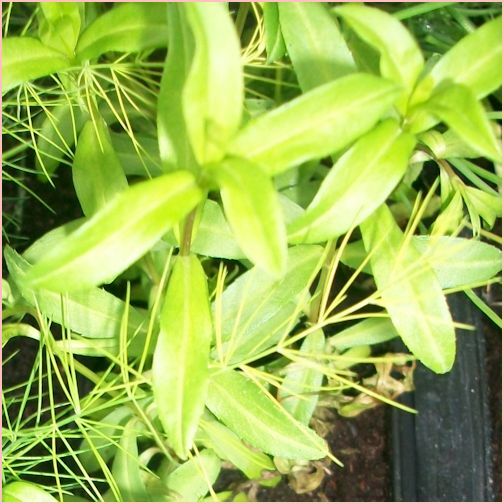 You can trim any straggly bits off the white if it's important for them to look perfect or fit on a muffin. When you're ready for serving, then bring fresh water up to boil in your pan. Slip the eggs into the boiling water, one by one. Bring the water back up to the boil and time for 1 minute. This will give you the runny centre which you see in the photo at the top of the page. 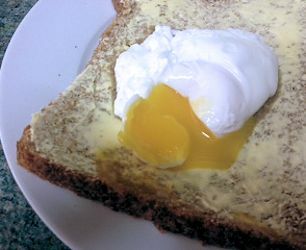 So here you have the perfect poached egg. 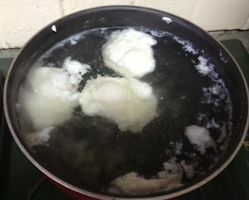 How to make poached eggs - no fuss, no bother. I have tried many methods but I find this one the best and most reliable, especially if you're cooking for more than one or two people. I tend to use my hands to lift the eggs gently out of the cold water, then put them onto the spatula or slotted spoon to drop into the pan. If I use my fingers, there's less chance of breaking a yolk but I wouldn't put my fingers near the boiling water - there's steam rising as well and a scald is very painful. 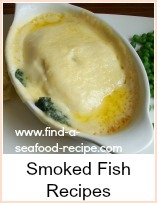 This Tarragon Trout recipe is a superb marinade that you use and then broil or grill the fish over coals if you prefer. 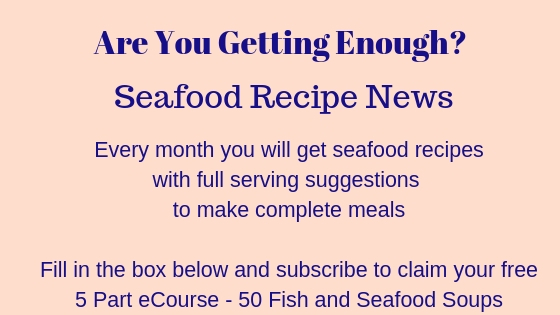 The marinade will work equally well on other seafood, so it's well worth learning how to make it.